The Chairman of the Pedestrian Council of Australia (PCA), Mr Harold Scruby, today congratulated FedEx for implementing its new exemplary and responsible road safety policies. He said: "Following an article in the Sun-Herald of February 2000, (copy attached), entitled `Courier giant pays for staff who break laws’, we were invited to several meetings with FedEx’s Managing Director, Ms Dennice Wilson. "Ms Wilson has now written to us (copy attached) pledging that FedEx will no longer pay parking fines where any person’s safety is believed to have been compromised. Ms Wilson added that she hoped that all companies will have the same dedication to safety. Mr Scruby said: "Many motorists do not understand that dangerous stopping and parking can be just as fatal as dangerous driving. Parking on footpaths, double parking, stopping in pedestrian crossings and bus zones and parking too close to corners, can easily cause death and serious injury. Many companies are paying their drivers’ fines, placing commerce before safety, with utter disregard for the consequences. All such companies should realise that if a person were killed or injured as a result of such irresponsible behaviour, substantial punitive damages could be awarded against their organisations and even directors. He said: "The NSW Pedestrian Road Toll this year stands at 80 - 10 higher than last year. Serious pedestrian injuries are ten times this amount. This is likely to increase significantly as we begin to experience the largest influx of tourists known to this nation. "Unfortunately, the penalties for dangerous parking do not reflect the gravity of the offences. For example, a motorist can park a vehicle blocking the entire footpath in George Street, all day, forcing all pedestrians onto the road and the maximum penalty for the entire 24 hour period is $61. The law does not even permit the right of tow away. This is the same penalty for being 5 minutes overdue on a parking meter. The anomalies become more absurd: the penalties for stopping on a Clearway are about $250 including towing (motorists can block pedestrian access but can’t block motor vehicle access). The fine is less than a quarter of this for parking on the footpath; clearly there is a huge financial incentive to choose this option. Additionally, the cost of parking for a day in the CBD is now greater than $50 in many carparks. Why not choose the footpath? "Adding insult to injury, enforcement is appalling, as confirmed the Auditor-General’s report, with Parking Patrol Officers concentrating on parking meters and either turning a blind eye or giving warnings to motorists who stop or park dangerously. We again congratulate FedEx on their initiative and call on the NSW Government and STAYSAFE to immediately review and urgently rectify these serious life-threatening issues. GUTTER TACTICS: FedEx vans parked illegally in the North Sydney area. COURIER and parcel delivery companies are paying fines for drivers who break traffic laws by parking on footpaths, pedestrian crossings, across driveways and in no-go zones. 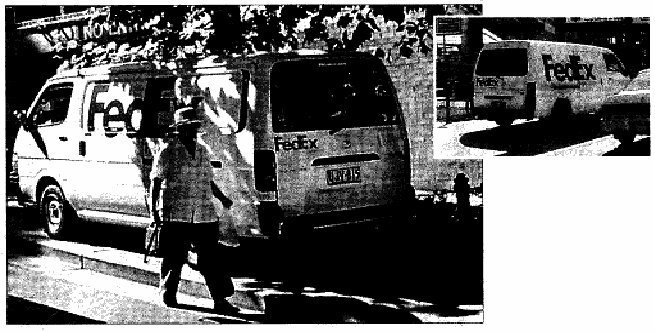 FedEx has admitted the practice after an investigation by The Sun-Herald and the Pedestrian Council of Australia, which photographed FedEx vans illegally parked. North Sydney Council chief of ranger services Charles Watson said he saw FedEx vans, courier drivers and armoured cars parked illegally every day in his local government area, which includes Waverton, Wollstonecraft and Cremorne. ‘I had one conversation with a group of eight FedEx drivers who were all parked illegally, ”he said. “I was told to f--- off and when I rang the company I was told their fines are paid every time they contravene the law. Pedestrian Council chairman Harold Scruby said he has written to FedEx warning that if anyone was hurt as a result of illegal traffic activity, the company’s insurance policy would not protect it from liability. “We have legal advice that if you are knowingly paying these fines when your drivers are actually endangering the lives and safety of others, then the courts have been known to award substantial punitive damages against such companies and their directors for what is known as contumelious (insolent) disregard for the rights and safety of other persons,” Mr Scruby said. “We believe that the payment of these fines is serving to encourage their employees to stop and park in locations which seriously compromise the safety of others. “Hardly a day goes by without my witnessing a FedEx vehicle either parked on the footpath, in a no stopping zone or double-parked. FedEx Australasia managing director Bruce Myers said his company paid the fines of “employees directly involved in its road network”. “However, we are committed to road safety,” he said. “We absolutely do ‘not compromise the safety of our drivers or the public for business concerns. Further to our recent meetings, FedEx is pleased to take this opportunity to thank you for working with us to ensure that our vehicles are not parked in locations where safety is compromised. FedEx is dedicated to the safety of the public and our people. Thanks to the teamwork between you and the management team in Sydney, we have ensured that safety continues to be held above all. We constantly look for ways to improve our safety. Your efforts in bringing this situation to light, and highlighting the impact of these industry-wide practices, have hastened FedEx’s implementation of procedural changes in Australia. This is reflected in our recent decisions regarding the parking of our vehicles and the elimination of the payment of fines by our company where a person’s safety is believed to be compromised. It would be our hope that all companies have the same dedication to safety. FedEx operates a door to door time definite express service for documents, packages and freight. Our customers demand speed and reliability. In the busier districts of Sydney, there are inadequate facilities which allow for the speedy delivery and pickup of packages to the many offices and residences of our customers. You have indicated that you genuinely sympathise with the daily predicament of FedEx’s drivers and will endeavour to persuade Councils to create many more Truck Zones in order to provide a far more equitable balance between the needs of those delivering goods and those wanting customer parking. We would appreciate any support that you can give us to improve this situation by bringing this to the attention of the relevant authorities. While this helps companies such as FedEx, the real benefit is to the customers and businesses of Australia. FedEx congratulates you on your tireless efforts to ensure the safety of the pedestrians of Sydney through your leadership of the Pedestrian Council of Australia. We wish you continued success in these efforts.